The Inclinometer measures the vehicle level ride height using the position of the transverse link on the front axle and the drive shaft on the rear axle as reference points. The results of which are displayed in both decimal degrees and millimetres. These are then used to determine the adjustment values for wheel camber, caster and toe. The whole process takes just one minute. 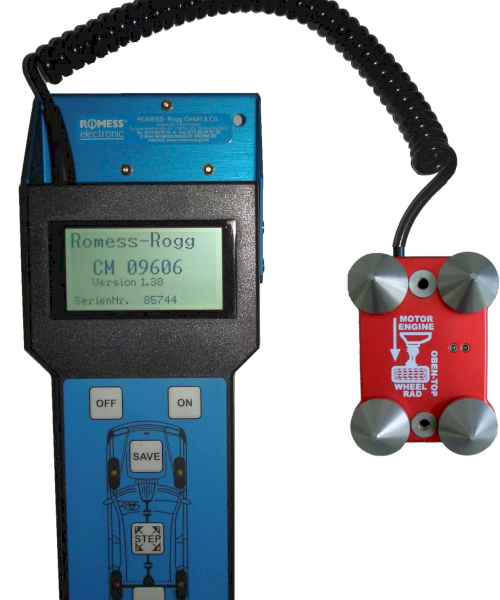 Handheld unit with graphics module and sensor for measuring two levels. The measuring range is +/- 15.